This page is a collection of experimental and miscellaneous USA 3" (7.62 cm) guns, none of which were of much importance. As detailed information for these guns is limited, rather than creating a page for each one, I have decided to combine them into a single page. This was a "mountain gun" issued to the Marine Corps. Weight was 205 lbs. (93 kg) with breech block. Fired a 13 lbs. (5.9 kg) shell. Range at 16 degrees was 4,000 yards (3,660 m) at a muzzle velocity of 1,000 fps. (305 mps). This was a Davis recoilless gun for aircraft to use against submarines. The original design had two barrels aligned with their breech blocks adjacent, one firing a 3" (7.62 cm) shell forward and the other a charge of birdshot and vaseline to the rear. Weight excluding the breech block was 182 lbs. (82.6 kg) and chamber pressure was 15 tons/in2 (2,365 kg/cm2). 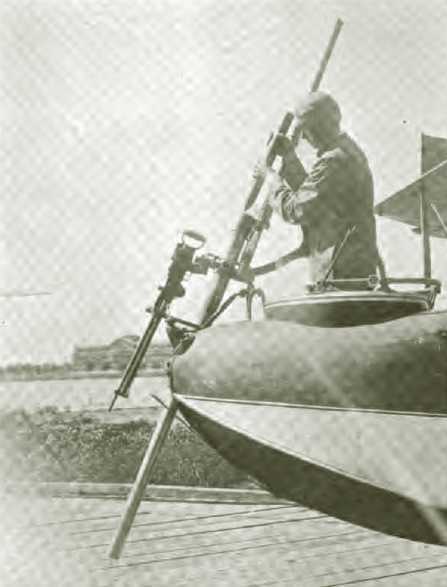 A Lewis MG was used to "spot" for the Davis gun. In later guns the birdshot charge was eliminated and instead the steel cartridge case itself was expelled to the rear, thus leaving the breech clear for the next round. Projectile weighed 9 lbs. (4.1 kg). The design was similar to the 6-pdr Mark 12 Davis gun. Loading a round into the Davis Gun. Note the second barrel. 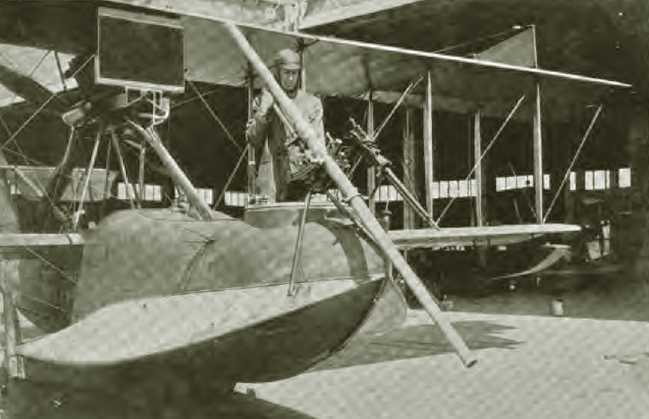 Davis gun with co-firing Lewis Machine Gun. Note the lack of the second barrel in this later weapon. In 1923 a new test series was devised. Three different projectiles were used, all having the same body and overall weight of 10.25 lbs. (4.6 kg) but with ballistic caps of a conical shape giving them overall lengths of 4, 4.5 and 5 calibers. Four rounds of each projectile were fired using two different size charges, resulting in muzzle velocities between 4,547 and 4,800 fps (1,386 and 1,463 mps). The 4 and 4.5 caliber projectiles were found to be stable in flight, but the 5 caliber projectile tumbled.